Of course, yield is not everything and the article goes on to discuss some of the pitfalls and problems associated with high yield investing. I get a digital version of the magazine for free as I have a SIPP account with AJ Bell YouInvest (who I can recommend, by the way). However: "High dividend yields can often be a warning sign that the market lacks faith in earnings forecasts – so don’t rush to buy any company off our list of 5%+ yielders without proper research." 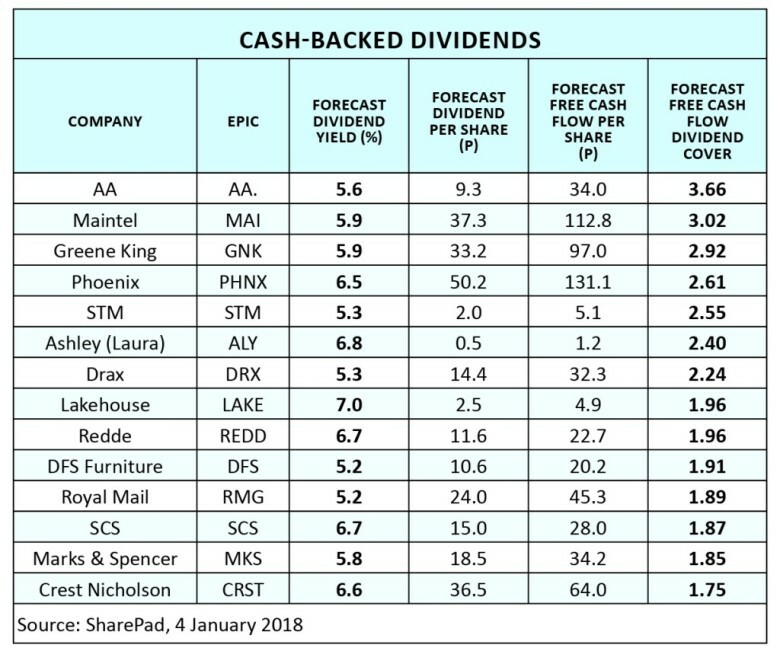 I'll leave you to read the rest of the report yourself - in particular I like the section on cash-backed dividends: some names from the wider market that you may not have thought of. So, Phoenix is looking good then? However, it seems the company made a loss for year ending 31/12/2016 ... when will the year ending 31/12/2017 results be available? Personally I like the builders. Every government seems determined to increase the population substantially through mass immigration whether the people like it or not and that means the need for more houses. It's difficult to see what could go wrong for them and most pay a very healthy dividend. GCP Infrastructure is currently yielding over 6% - with a recent decline in the premium needed to purchase.